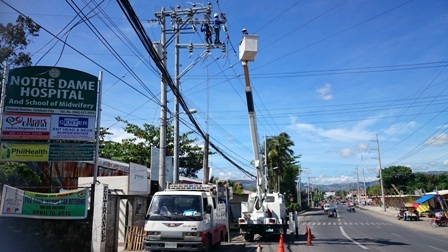 Last April 3 and 9, 2016, Cotabato Light was able to successfully ride along NGCP’s scheduled interruption thus allowing us to do parallel works with our decades old 69KV Pole and Line structures. After a couple of months planning, we were able to mount the second segments of four concrete poles and remove rotten structures. These segments are considered to be vital in our supply line, thus being able to facelift our sub-transmission assets let us us sleep and breathe comfortably. This wouldn’t have been possible if not for the assistance of our big brother, Davao Light. A big thanks to the teams of Engr. Socrates Arce and Engr. Paul Michael Cazar for backing us with their two organic gangs along with bucket trucks and crane, and Royacs for ensuring those vehicles are in tiptop condition and Jun Po for facilitating the heavy equipment’s transit to Cotabato. Being able to do simultaneous cold line works, let us save on down times thus not only making our system more reliable but also able to ensure public safety by reducing risks both to human lives and properties. 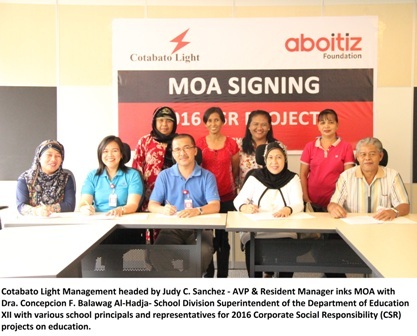 COTABATO CITY – Special children have special place in the heart of Cotabato Light and Power Company and Aboitiz Foundation Incorporated, the power firm’s officials said. Anna Lea Nataño, head of the Cotabato Light communication office, said the two firms are in deep gratitude to be part of this project in helping these "special children." “It has been part of our company's thrust to always give back to the community,” she said in a statement. Arlene Hepiga, speaking for Cotabato Light, said Dr. Concepcion F. Balawag, Al Hajaa, Cotabato City school division superintendent, has recommended to Cotabato Light to look into the needs of the Special Education Division. 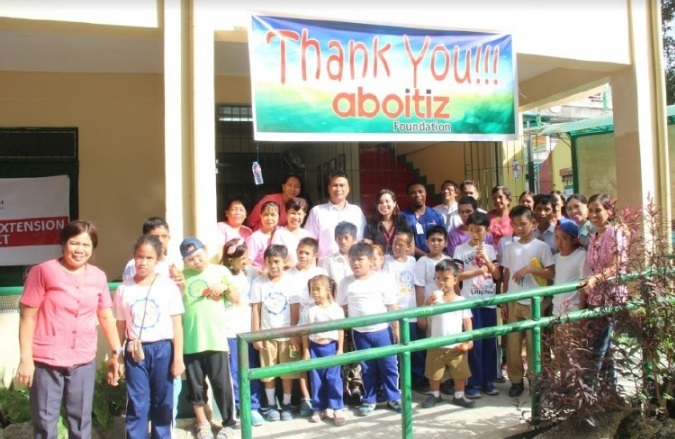 Hepiga said an assessment team visited Cotabato City Central Pilot School and found out the school indeed needs assistance for the enhancement of the kitchen for 41 pupils with special needs. 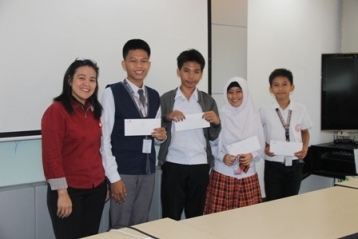 In partnership with CCCPS, which provided labor as their counterpart, “we are very happy that we have materialized this project that would eventually equip these kids to live productivity and independently,” Nataño said. On Wednesday Nov. 9, the project was turned over to school authorities. “Would just like to remind the faculty, and the pupils to always take good care of the materials, appliances, and the building itself to have a longer impact for the next generation of pupils,” Hepiga said. The "Transition Program for Children with Intellectual Disabilities" in the Philippines was initiated by the Special Education Division, Bureau of Elementary Education of the Department of Education set with the main objective of developing career awareness and work skills through school-to-work transition among children with intellectual disabilities. 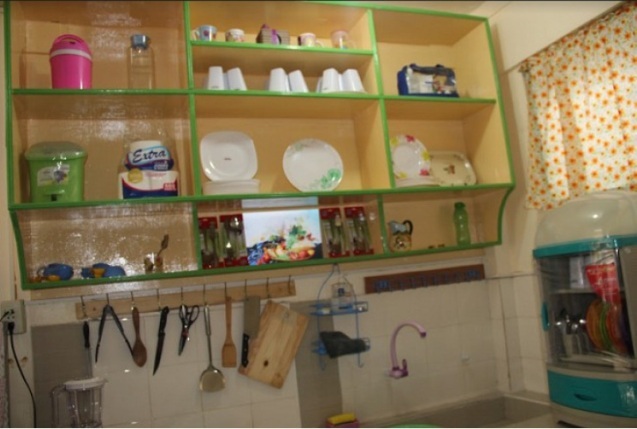 Hepiga said the power firm provided materials for the renovation of the room converting it to kitchen for the children with special needs. 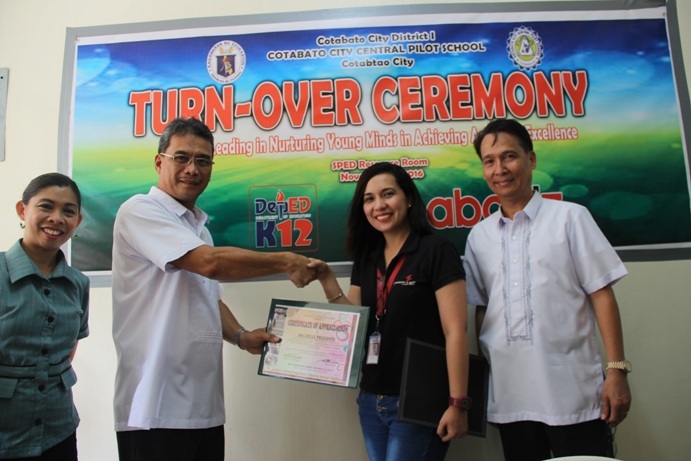 Cotabato Light provided kitchen supplies, appliances and utensils. The project cost is P100,000. Hepiga said labor was the school’s counterpart.